The journey of pregnancy is unique and different experience for everyone, but the one common thread is that it’s a transition from being a woman to becoming a mother and begins at conception. It is a time of learning about your body as well as a time of self-reflection. Prenatal yoga can help you along every path of this journey. It’s also a great way to connect with your baby and with other pregnant women as you celebrate the changes in your body and the excitement of bringing a new life into the world. 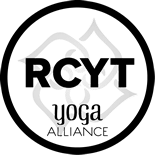 Classes are taught by Anna Starikov, a Yoga Alliance Registered Yoga Teacher, Registered Prenatal Yoga Teacher, Registered Children’s Yoga Teacher and mother of two, at Be One Yoga Studio in Kirkland. 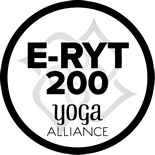 She has had over 150 plus hours of specialized prenatal yoga training from some of the best teachers in the field and has been teaching Prenatal Yoga for over 10 years. The prenatal yoga classes she offers include so much more than just asana (yoga poses) – they include, breathing techniques for labor, meditation, visualization, prenatal anatomy information, sangha (community), labor preparation and much, much more. Come and join us so you can experience a class for yourself! Previous yoga experience is not necessary. We offer Prenatal Yoga on Saturdays at 10 am — each class is 2 hours long. Class sizes are limited to 14 students and classes fill up fast, so must prepay and preregister for each class. Classes fill up fast and it might take a few weeks to get a confirmed spot in a class. 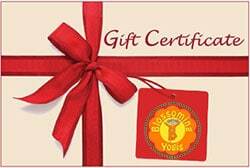 If you have never taken a Prenatal Yoga class at Be One Yoga Studio, you will not be able to register online at this time due to the waiting lists. Please email Anna or call her at 425-681-3813 and she will help you get a spot in the next available class. If you have already attended prenatal yoga classes at Be One (with a previous pregnancy or with your current pregnancy), please be sure to PRE-PAY and PRE-REGISTER for each class day and time you’d like to attend. If a class is full, you are welcome to join the waiting list as often students cancel their reservations the day of class. If you are approaching your due time, please contact Anna before purchasing a pass – she will look at the length of the waiting lists to help you figure out whether you’ll be able to join us before your baby arrives since the studio doesn’t issue refunds and passes are not transferrable. If you’re new to their site, type in your first and last name in the boxes to the right. If you’ve signed up for classes online before, type in your email / username and password. If you’re new to the site, fill out the additional information on the next screen and set up a login by typing in your email address and password (twice) and click the “CREATE ACCOUNT” button. Click the “CHECK OUT” button to enter your payment information and complete your transaction. If you’re unsure if you are registered for a specific class date or if you are on the waiting list for a specific class date, just log into your Be One Yoga MindBody account and click the “MY INFO” tab at the top and then select “MY SCHEDULE” just under the tab. There you will be able to view all of the classes you are scheduled to attend in the future. 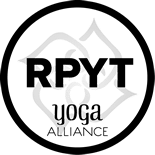 If you sign up for a class through Be One Yoga Studio’s MindBody system and are not able to attend, you must cancel your reservation by 6 pm on the Friday before the Saturday class, or the class will be deducted from your pass or drop in class that you paid for. Please also note that passes and drop in class purchases are not refundable or transferable. If you deliver your baby before your pass expires and before you are able to use up your classes, you will have 6 months (after your baby is born) to apply your remaining classes to Hot Hatha, Vinyasa or Yin classes offered at the studio. Download a Prenatal Yoga Questionnaire and Release Form. Questions? Read through our Prenatal Yoga FAQs. Also, find out more about our Couples Yoga for Labor Workshop!